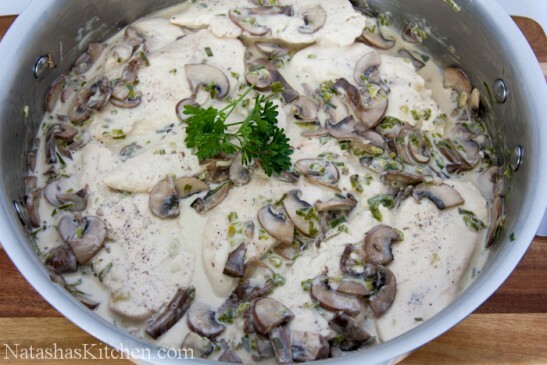 This is Julia Childs “Supremes de Volaille aux Champignons [Chicken Breasts with Mushrooms and Cream].” I’ve converted. 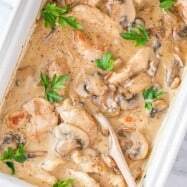 Her Chicken with Mushroom White Wine Cream Sauce recipe is better than mine, hands down, especially the way she bakes the chicken; so juicy and tender. I have just one word to describe this chicken with mushroom white sauce recipe; “RAARRRR!” It’s delicious. Your palate will thank you! 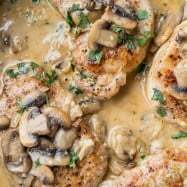 It’s probably one of my favorite chicken recipes. The white wine and cream pair wonderfully; flavorful yet subtle. Hope you like it! 1. 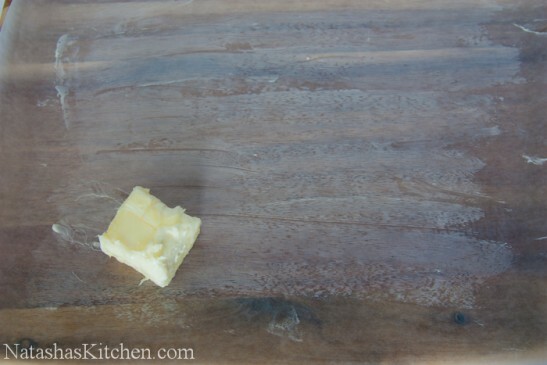 Butter one side of a sheet of wax paper that is cut to the size of the casserole. 2. 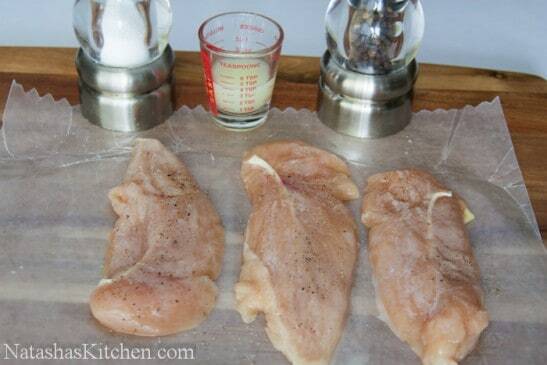 Place the chicken breast between two sheets of wax paper and pound it with a meat mallet until it is an even thickness (about 1/2″ thick) – it will cook more evenly. 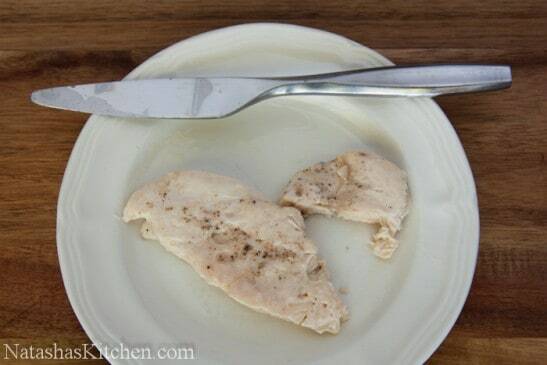 Cut the chicken breast pieces in half or into thirds (if desired). 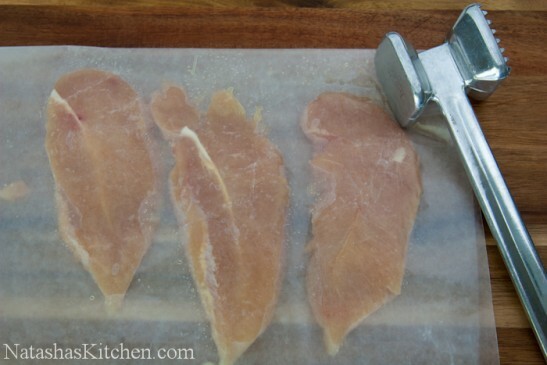 If you are using chicken tenders, you really don’t have to do any pounding or cutting, so that saves a step. 3. 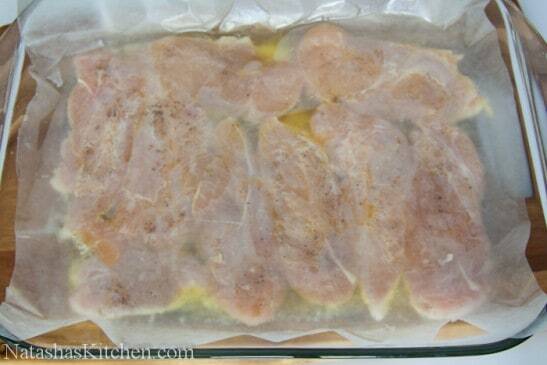 Rub the chicken breast with lemon juice. Season both sides with salt & pepper. 5. Once the butter is foaming and bubbly, quickly roll the chicken in the butter and lay the buttered side of the wax paper over the chicken. 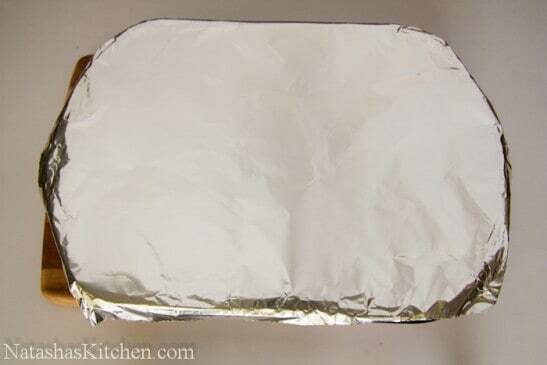 Cover the casserole with foil and place in the hot oven for 6 to 8 minutes. Don’t crowd your chicken or it will take much longer to bake. Keep this in mind if you are planning to make this for a large party. 6. Test the chicken at 6 minutes; if the meat is springy to the touch, it is done. 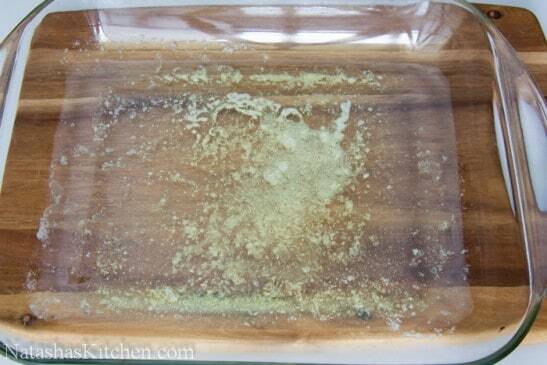 If it’s still soft, return to the oven for another 2 minutes. Mine took about 8 minutes to bake (and I always cut into the thickest piece of chicken to make sure it’s done). 7. 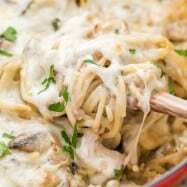 Take the casserole out of the oven and pour the remaining butter into a large heavy bottomed skillet over medium/high heat. 8. 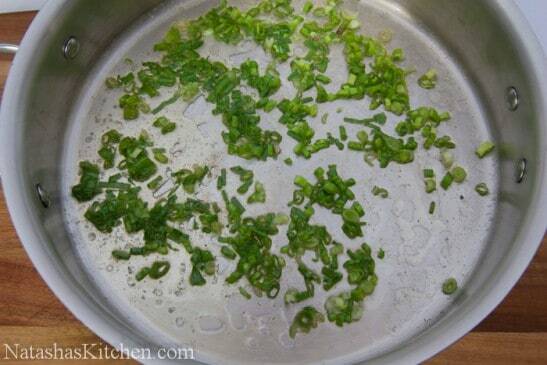 Add chives and heat until fragrant (1 minute). 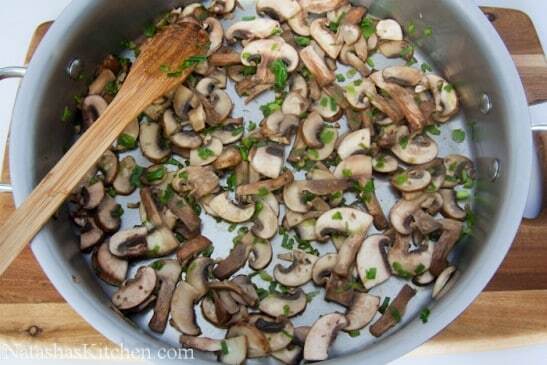 Add mushrooms and cook, stirring occasionally, until tender, about 3 to 4 minutes. 9. 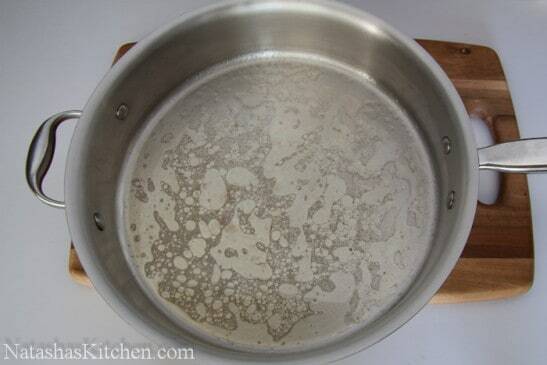 Over high heat, add white wine and chicken broth and boil until liquid is syrupy, stirring constantly. 10. 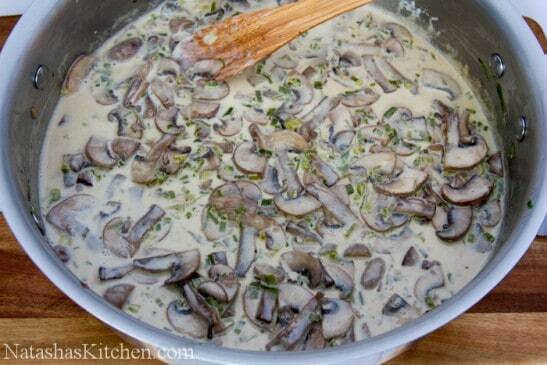 Stir in the cream and simmer until sauce begins to thicken. 11. Reduce the heat to low. 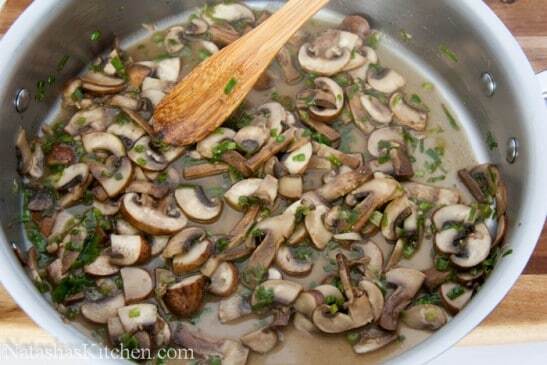 Taste the sauce and add more lemon juice to taste and salt if desired. 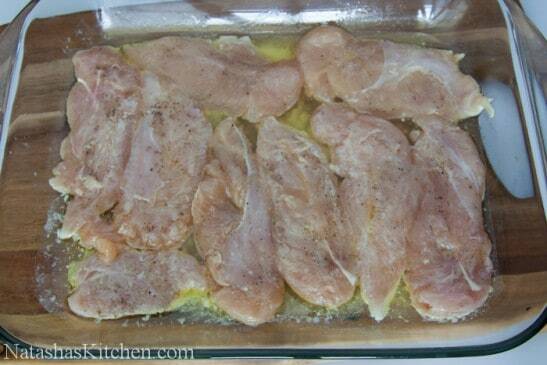 Place the chicken back in the pan and coat with the sauce until heated through. 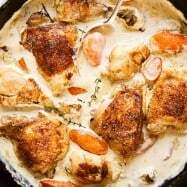 If you use a dutch oven, it can be used on the stove and you don’t have to transfer the butter after the chicken is done baking. That way it’s all done in one casserole dish. I wrote out the recipe using a glass pyrex baking dish and a large skillet because not everyone has a dutch oven. 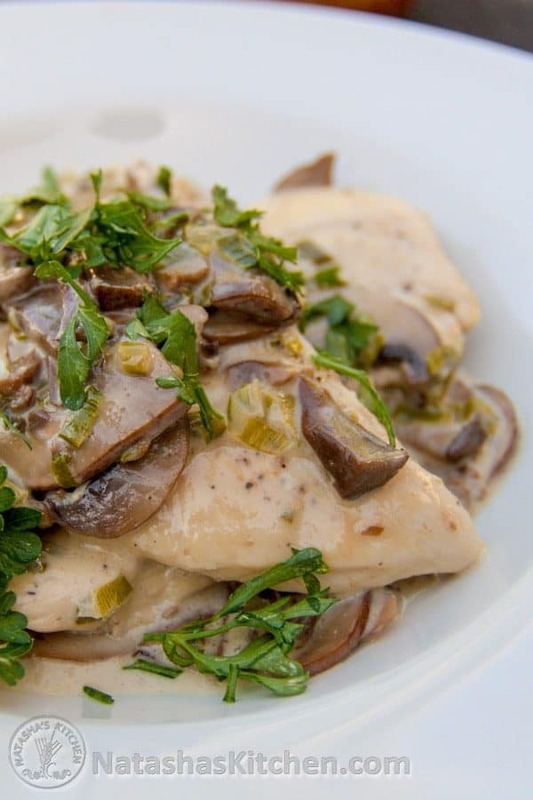 In the original recipe, the sauce can be made with Port, Madeira or dry white Vermouth. After visiting two grocery stores,I found out white vermouth is a liquor store item,so I just bought some white cooking wine. I did try the port sauce as well and found the white wine better. 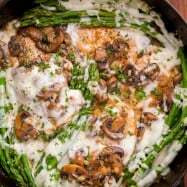 Dorogaia, I know that this recipe is older, but I hope that you can read this. What happens to those wonderful spit-roasted chickens at Costco when none are sold? The breast meat is packaged and sold the next day. We vacuum-seal 1 lb. bags, then freeze. 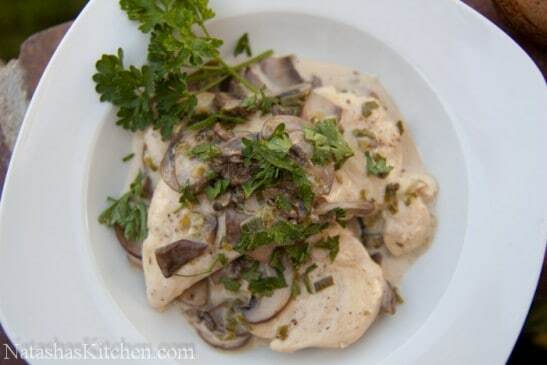 The chicken is delicious and saves much time for your salads, sandwiches, soups, etc. White vermouth is standard at Fred Meyer. I put this dish on my menu for next week, but wanted to confirm some things before I cook it. Will it reheat well the next day (since I pack lunch for my husband daily)? Also do you think cutting the piecesid meat smaller might make it dry? I will be using chicken tenders. Also this is not related to the recipe, but do you have a good recipe for loaded baked potato soup? 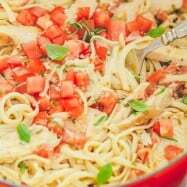 It’s one of my husbands favorite soups and I would love to make it, but I need good tutorial.